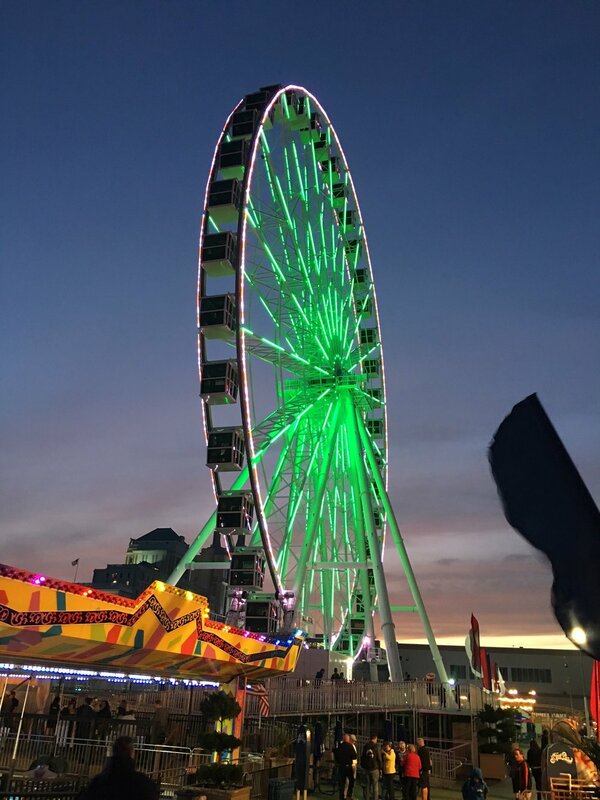 PS&S was a VIP guest at the grand opening of the Wheel at Steel Pier on Monday, June 11 as hosted by Anthony Catanoso, the President & Owner of Steel Pier. The PS&S Structural Design team of Glenn Kustera, George Reichert and Marge DellaVecchia were in attendance and treated to the breathtaking sunset views atop the wheel. PS&S engineers were integral to the development of the Wheel – by providing the technical expertise to create a path forward for the construction of the Observation Wheel atop the existing Steel Pier structure. In doing so, the PS&S team eliminated the need to build an adjacent pier for the 485,000 pound observation wheel, saving its owner millions of dollars and the prospect of a lengthy and uncertain permitting process. The Wheel will be a year-round attraction to Atlantic City’s Boardwalk and economy further supporting the ongoing revitalization of this iconic New Jersey city.